There’s NOTHING I won’t do for you guys. And this post is proof. 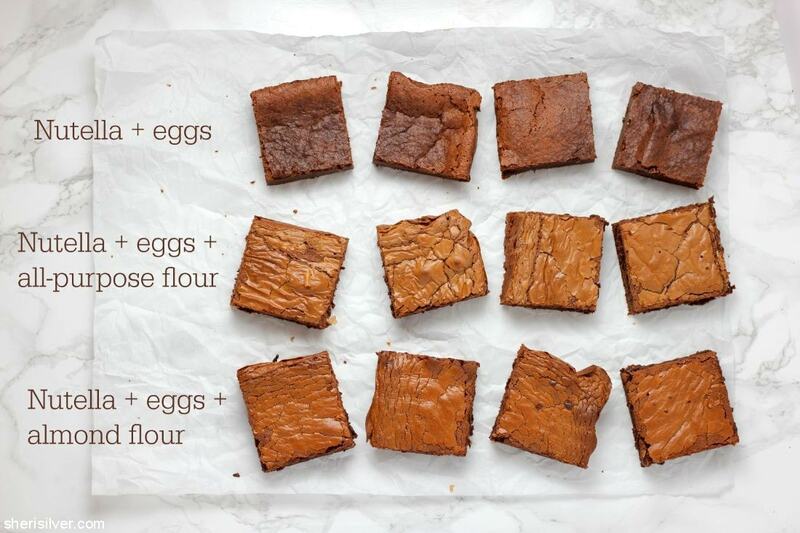 Years ago a 2-ingredient brownie (Nutella + eggs) broke the internet, and I baked it up for another site I was working for at the time. And I never made it again. 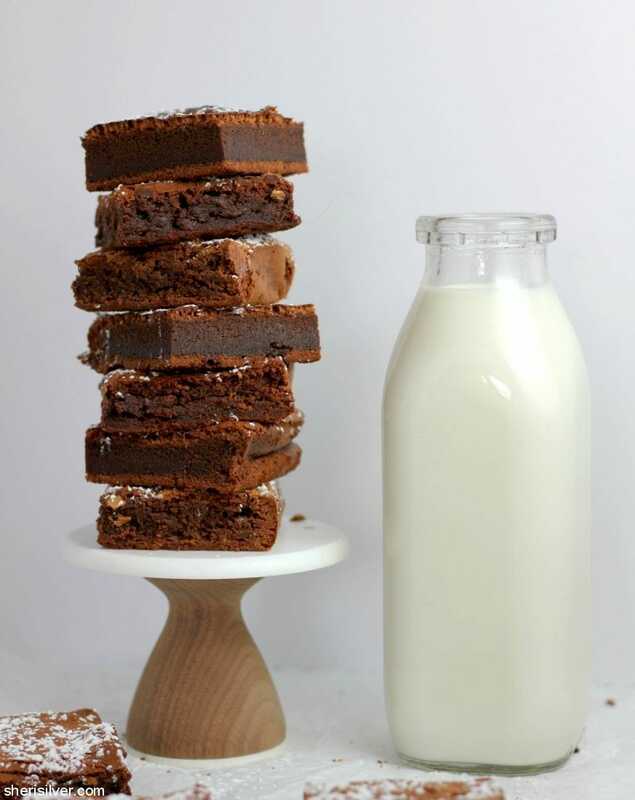 I was thinking about those brownies over the holiday break (as opposed to THESE brownies) and decided to share them here. And I discovered that, since I last baked them up, there have been a few variations on the original recipe – the most popular adding a small amount of either all-purpose or almond flour. And before I knew it, I was baking up all three. Because, research. I mean, 3 ingredients is still pretty easy, and what if there was a significant difference? I had to know. First off, the original 2-ingredient version was definitely as good as I remembered. 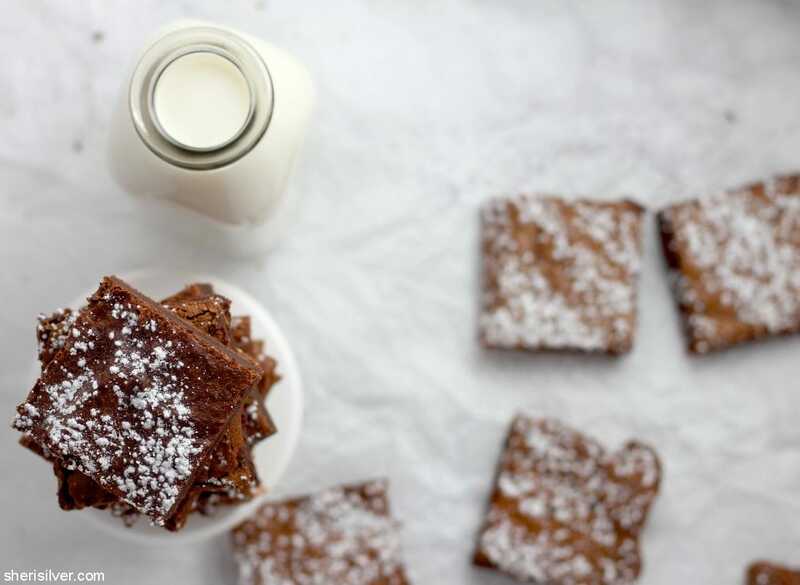 Fudgy, rich and hard-to-believe was made only from Nutella and eggs. Perfect for Passover, or if you need a gluten-free dessert. And now for the others. As you can see from the picture, that shiny, crinkly lid is the first clue that they are different from the original. The second clue comes when you take a bite. More cake-y and traditionally “brownie-like”, thanks to that additional flour. As for the difference between the all-purpose and almond flour versions, that really comes down to personal preference. 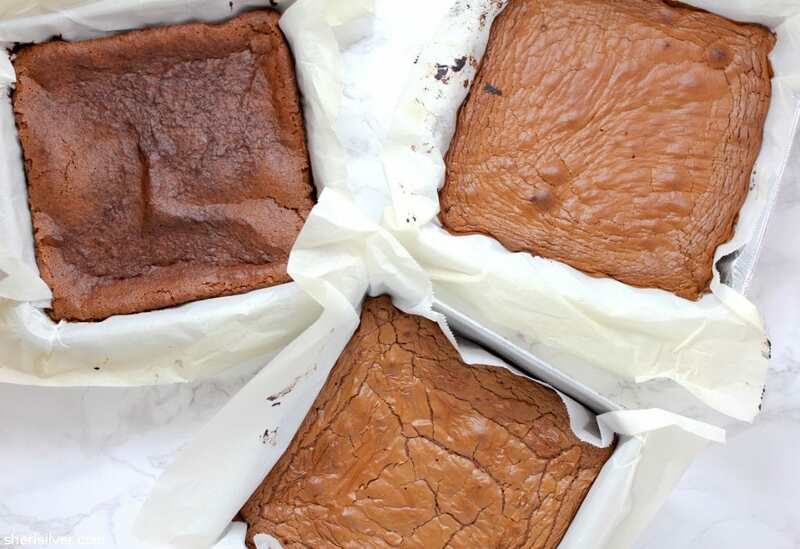 I loved the almond flour brownies while everyone else preferred the all-purpose ones. Either way that extra ingredient made them just that much better. As each batch takes such little time to whip up, give them all a try and tell me what YOU think! Pre-heat oven to 350; line an 8 x 8 baking pan with parchment paper. Using your stand mixer, whisk the eggs for 8 minutes on medium high. 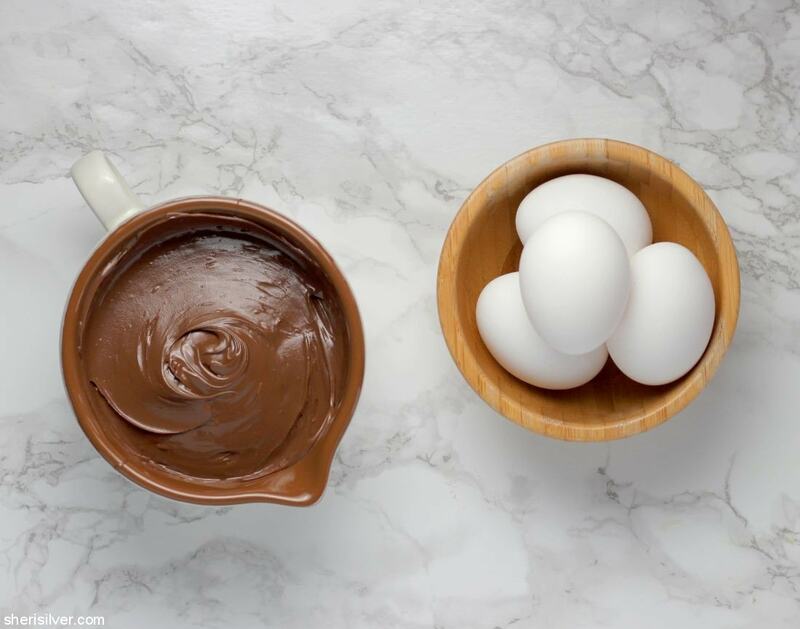 while the eggs are mixing heat the Nutella in the microwave for 1 minute – give it a stir. After 8 minutes, reduce the mixer speed to low and slowly pour in the Nutella. Scrape down the sides to fully incorporate and pour into your prepared pan. Bake for 25 minutes or till a toothpick tests clean. Cool completely in pan on a wire rack and sift with confectioners’ sugar, if using. Pre-heat oven to 350; line an 8 x 8 baking pan with parchment paper. Using your stand mixer, beat the eggs, Nutella and flour till combined. Scrape down the sides to fully incorporate and pour into your prepared pan. Bake for 25 minutes or till a toothpick tests clean. Cool completely in pan on a wire rack and sift with confectioners’ sugar, if using. Find more cookies, snacks, and wheat-free recipes on Pinterest! This is an amazing recipe! I love the idea of such cookies. Looking nice! Thanks for sharing the post with us!